By using Finite Element Analysis (FEA) optimal reinforced ribbings are directly cast into the one piece bed and column structure. 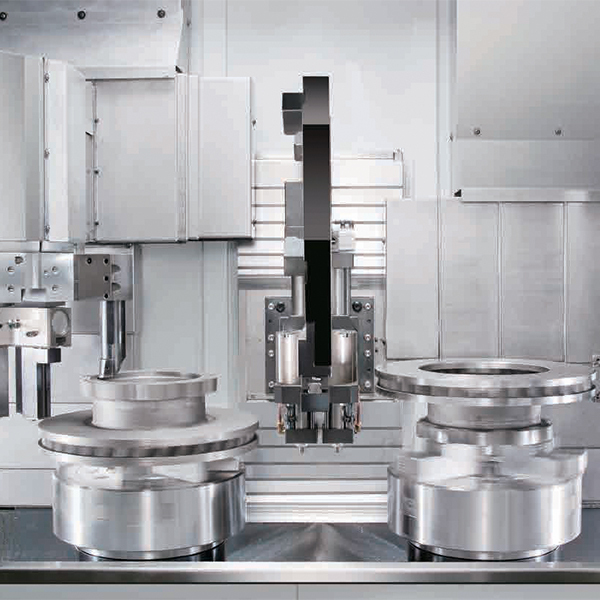 Mechanical rigidity has been increased by 30% when compared to conventional designs. 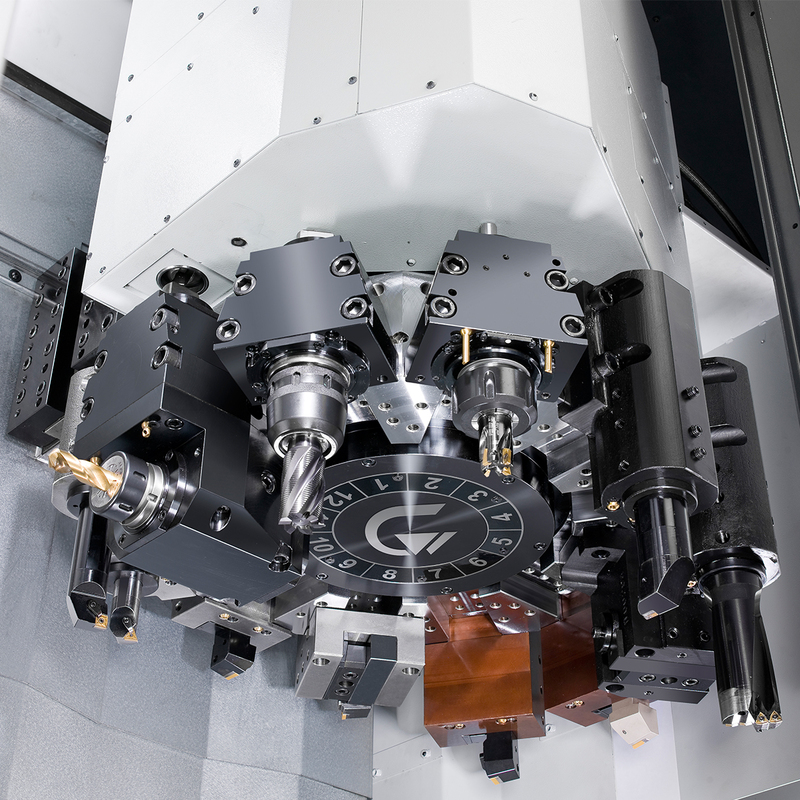 The GV series is capable of performing heavy duty turning and maintains long term precision accuracy. Th high precision linear guideways provide maximum precision rapid movement and low wear advantages. The auto lubrication system uses a pressure relief lubrication device and copper oil pipe, providing slideways, ball screws and other major components with abundant lubricant. The super heavy duty servo indexing turret features the latest non lifting turret disk technology. 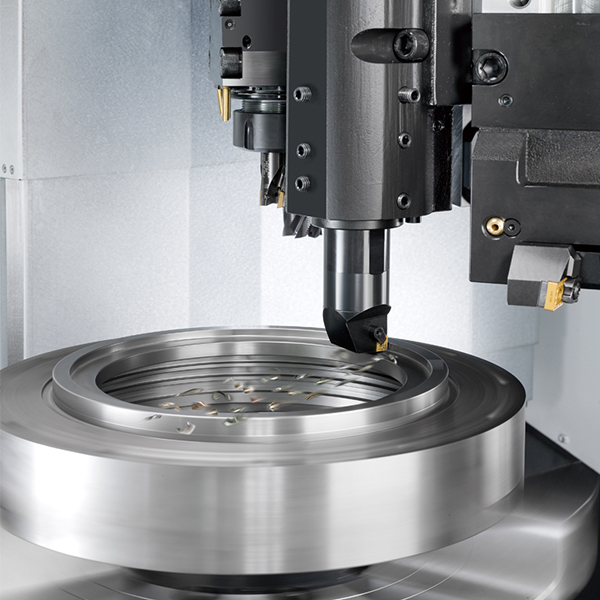 The Japanese super high precision curvic couplings accurately position the turret disk and high clamping forces ensure abundant turret rigidity for all cutting conditions. 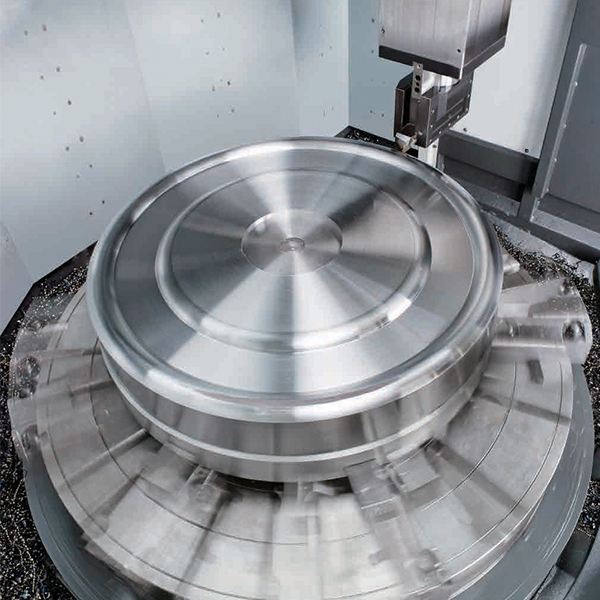 The twin spindle and turrets vertical turning centre is based on a 'combining two operating processes into one' concept. 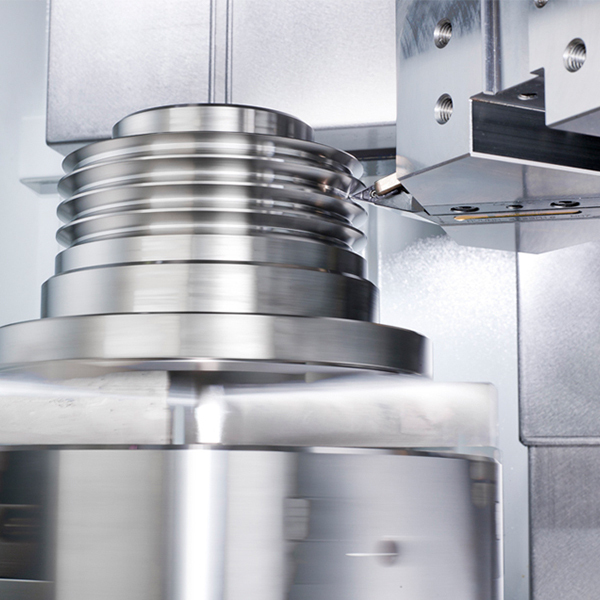 Therefore the 1st spindle and 2nd spindles can work independantly on two different workpieces or work on the 1st and 2nd process of one workpiece, efficiently lowering the demand on manpower and increasing factory space usage. Optional load and unloading and work piece flipping devices are available to further increase machine efficiency. From bar feeding, processing, flipping and discharging, these can all be completed at once which saves manually flipping time and reduces setting error to increase production efficiency.